Self-drive – Travel the Great Inland Way from Sydney, Canberra or Melbourne to Cairns via Dubbo and Lightning Ridge. 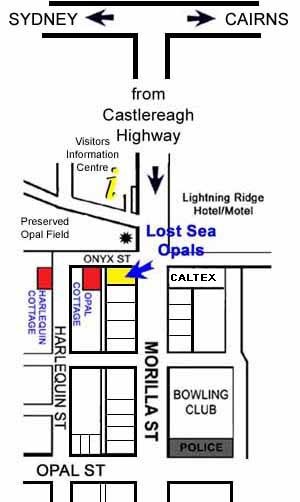 Pick up your keys at Lost Sea Opals on the corner of Morilla and Onyx Sts. 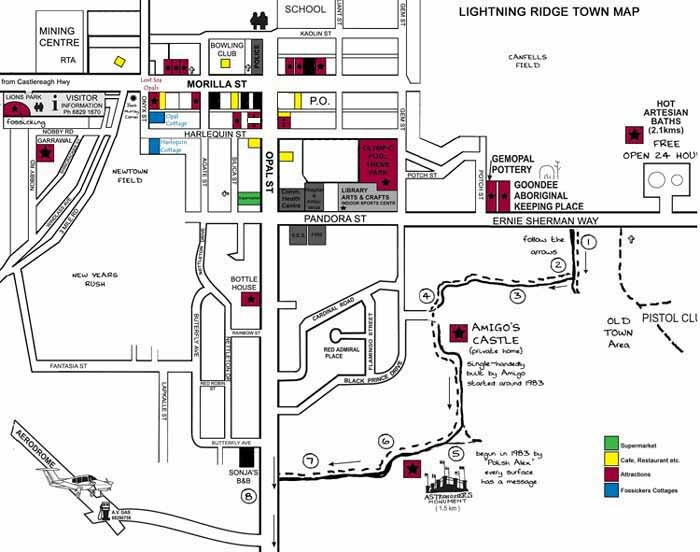 (First intersection as you come into town). Opal Cottage is just next door and Harlequin Cottage is about two hundred metres up the road in Harlequin St.
Countrylink has a daily train and bus service from Sydney via Dubbo. Pick up can be arranged from the airport or bus depot.